"Whatever I'm into, whether it's ballet or healthy food," says Natasha Sheehan, "I'll research anything and everything about it." That curiosity has led the San Francisco Ballet corps member, 19, to develop a sideline as an Instagram foodie star and food blogger. 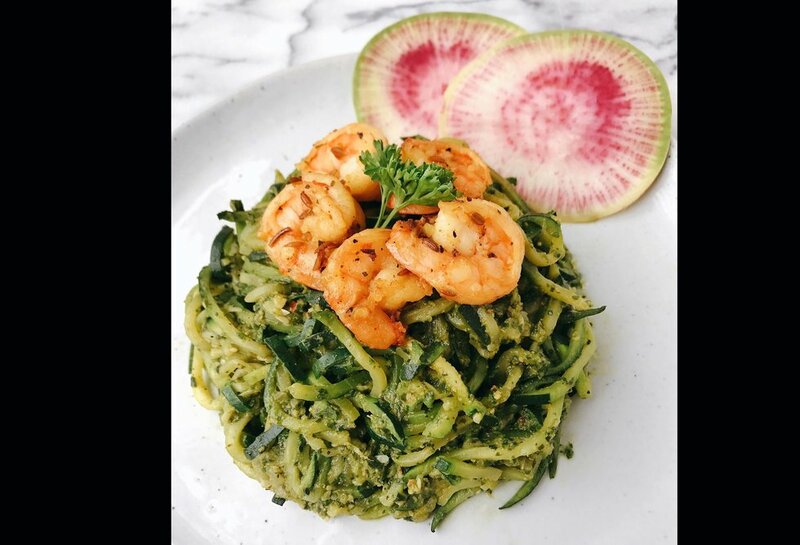 Sheehan shares recipes and photos of her beautifully styled meals, along with behind-the-scenes ballet insights, with her more than 44,000 followers. "For food photography, natural light is best," says Sheehan. Styling a dish and setting up the shot can sometimes take a very long time, she admits. "As a ballet dancer, being a perfectionist, I try to make the food look as perfect as possible." A devotee of Dr. Mark Hyman's pegan diet, which combines elements of paleo and vegan plans, she focuses on whole, unprocessed ingredients like organic fruits and vegetables, healthy fats, and high-quality proteins like chicken and fish. "I've found that eating food in its natural state makes me feel my best, so I've stuck with that," says Sheehan, who hopes to become a nutritionist after her dance career. Sheehan loves making this pesto to put on zoodles (zucchini "noodles"), salads or roasted vegetables, or to dip raw vegetables in to snack on. Add lemon juice, salt and pepper to taste. If you prefer your pesto to be more thinned out, add either extra olive oil, lemon juice or water. For more on Sheehan's daily diet, how she solved her recurring digestive issues and her homemade energy ball recipe, pick up a copy of Dance Magazine's August issue.